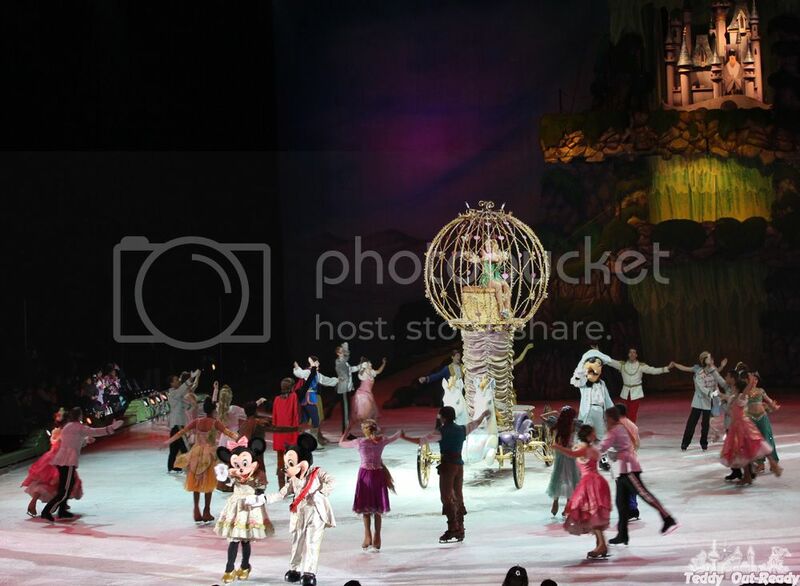 Disney on Ice is one of our favorite shows to attend during Christmas time. This year was not exception, and we were lucky to see Princesses & Heroes at Rogers Center in Toronto. Lucky because after ice storm in Toronto and lack of power we managed to get to downtown without any problems. Streets and subway were almost empty on our way to the show but the Rogers Center was packed with audience ready to see the fantastic skating, hear favorite songs and recognize adored characters. 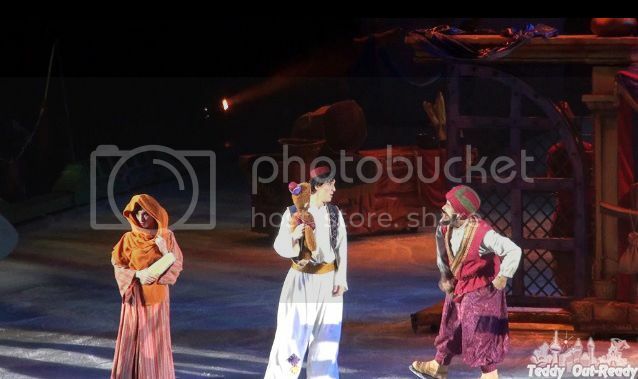 The performance was a series of Disney tales starting with a fabulous scene at a marketplace where Princess Jasmine and Aladdin met each other. Merchants offering their best products, skating camel and guards created a busy market scene in addition to amazing costumes, colors and dance. Snow White was the next in the set of adventures in search of friends and the Seven Dwarfs who helped the princess to find her love. 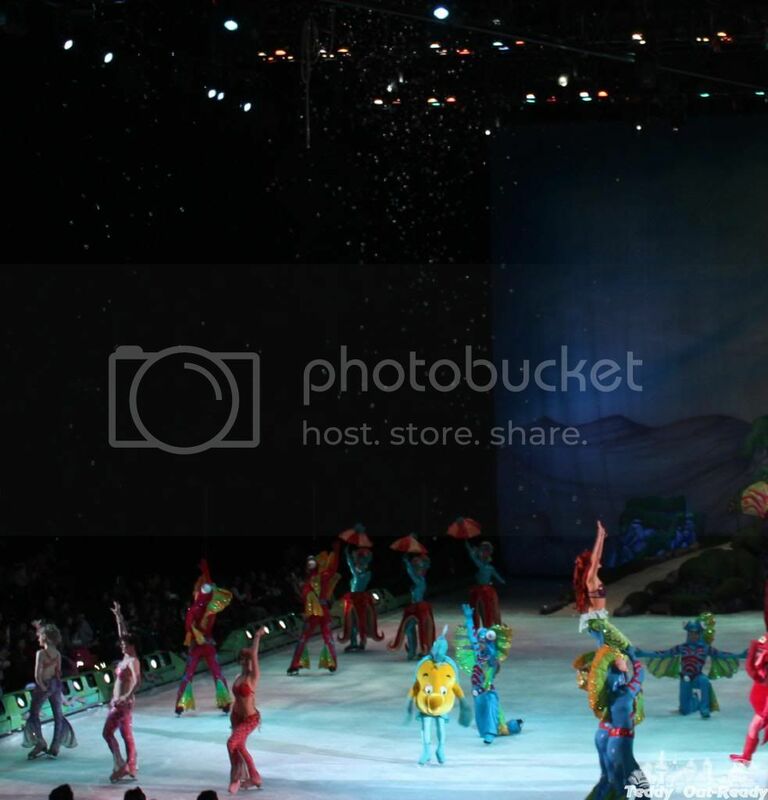 It was nice to see the Little Mermaid with her sisters and hear favorite song "Under the Sea" with colorful creatures, I always question if any reason to leave such a beautiful place (that the scene is absolutely incredible and definitely a must-see). 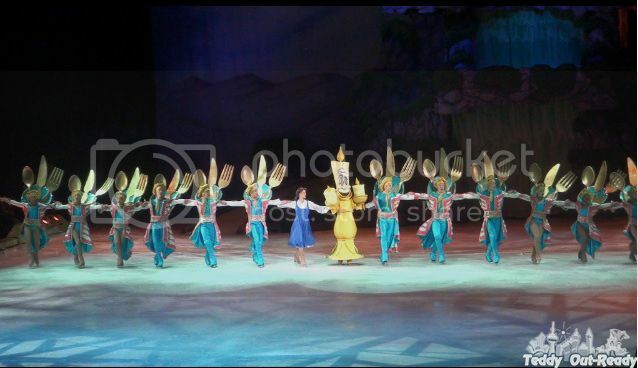 Beauty and the Beast tale part was presented with a "Be Our Guest" song.I think it was a pretty exciting performance with the skaters wearing knives, forks and spoons outfit. 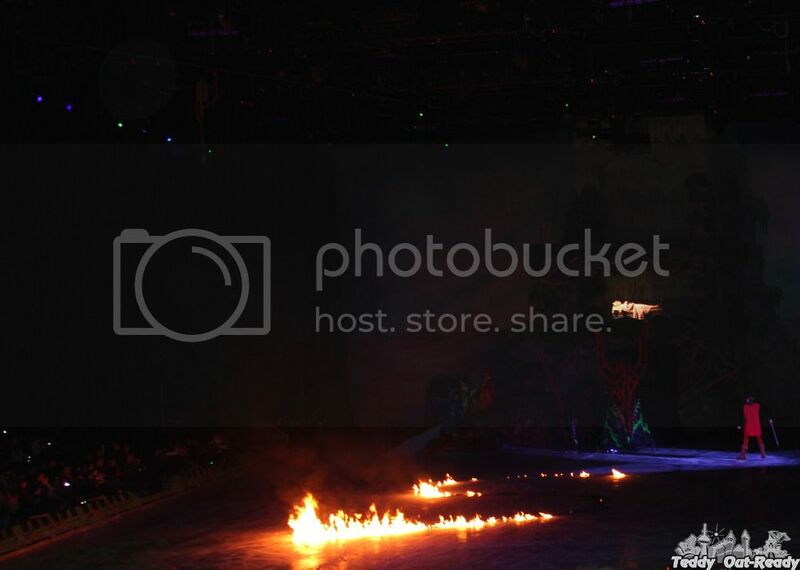 Another thrilling scene was an impressive fire-breathing dragon (aka the evil Maleficent) fight with Prince Eric, where flames were seen everywhere in the air and even continue burning on ice for a while. The other princesses we saw were Cinderella, Rapunzel and Tiana. Overall, the show was amazing but seems fast and a little bit from everywhere. Princesses’ roles definitely dominated, while heroes were given less attention. 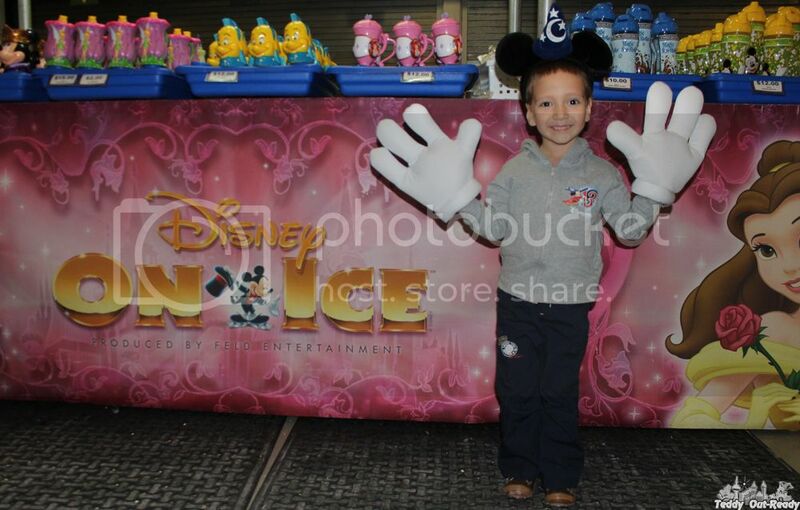 Teddy said he liked the whole show except the absence of Donald Duck. Stage designs, costumes and acrobatics are worth seeing for sure. 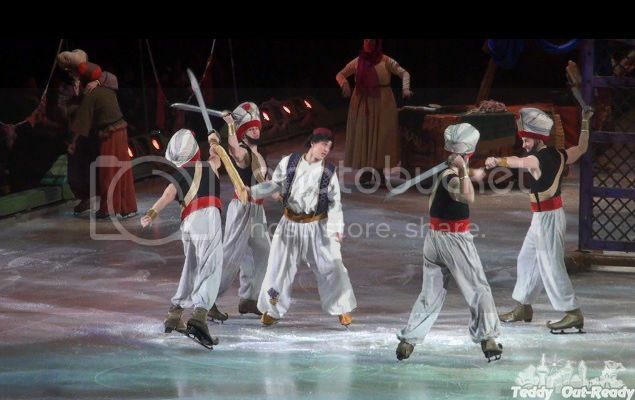 The performances continue to be on stage at Toronto Rogers Center till December 29, 2013. So do not miss an opportunity to see and enjoy one of fabulous shows this holiday season.